Jaisalmer is magical and outstanding, not least because it was built by yellow sandstone that has given it its nickname The Golden City. 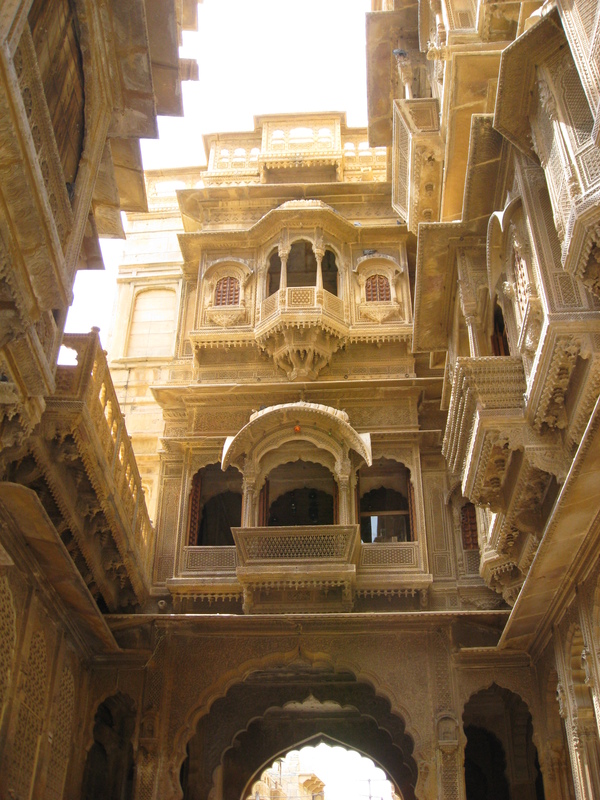 Even if Jaisalmer did not make it to my India: Top 10 places to visit, it is one of my favorite places in India. 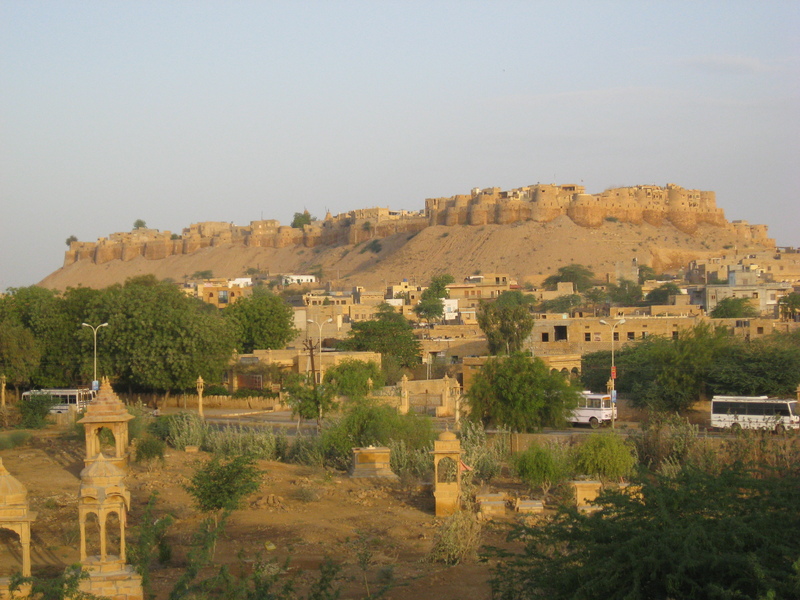 Soon after its creation in the 12th century, Jaisalmer became an important trade center along the Silk Road. 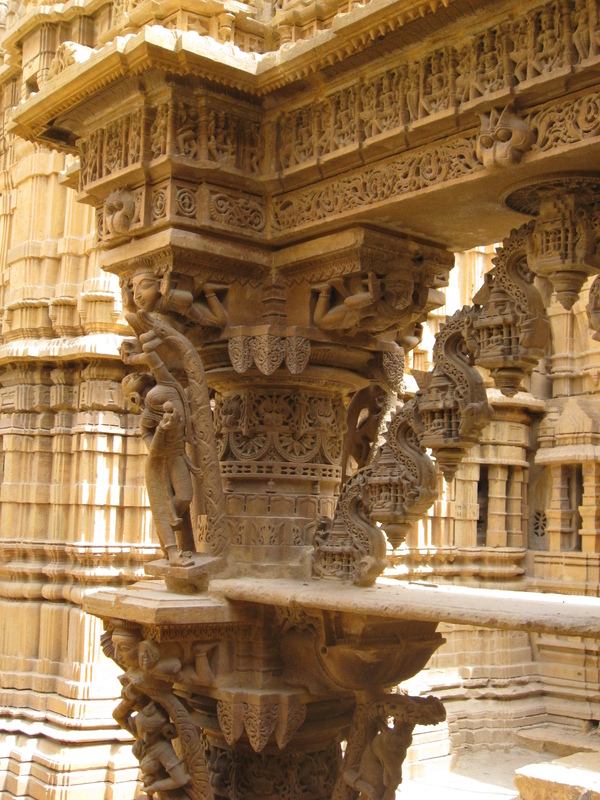 Tons of silk, opium and spices passed through Jaisalmer throughout the centuries. 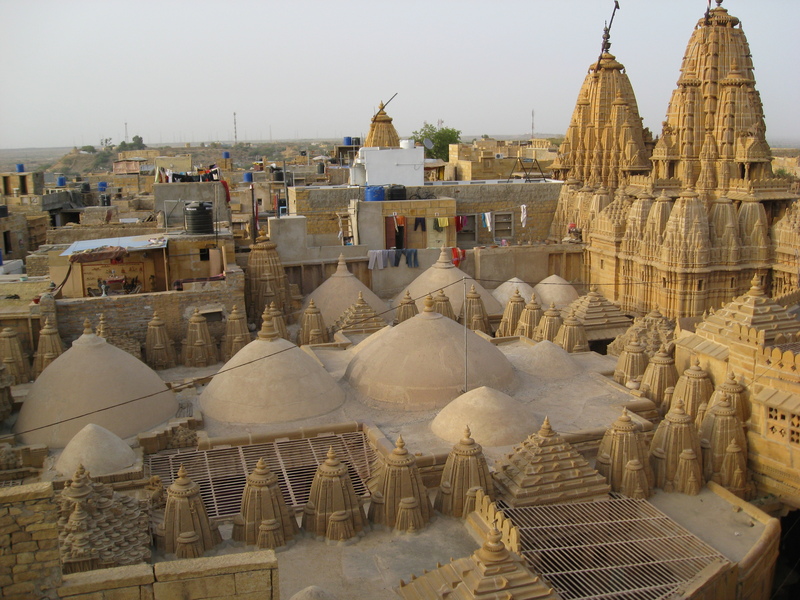 Today, it attracts visitors mainly for three reasons: 1) the location (in the middle of the stunning Thar Desert; great for desert and camel safaris) 2) Jaisalmer fort (India’s last remaining living fort) and 3) architecture (exquisite havelis and elaborate Jain temples). The Jain temples, constructed between 12th and the 16th centuries, were indeed very impressive. Some 11th century manuscripts written on palm leaves are kept in the temple complex, too. Tip: be aware of the odd opening hours if you are interested in visiting the temples! 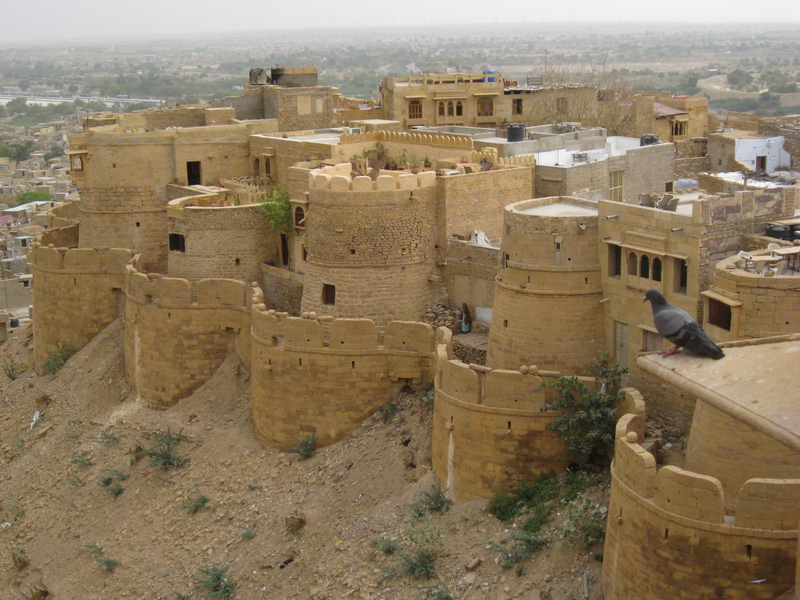 We spent two nights in Jaisalmer and loved the fort as well as the city outside the fort. Most of our time was used in walking along the ramparts and tiny streets inside the fort. 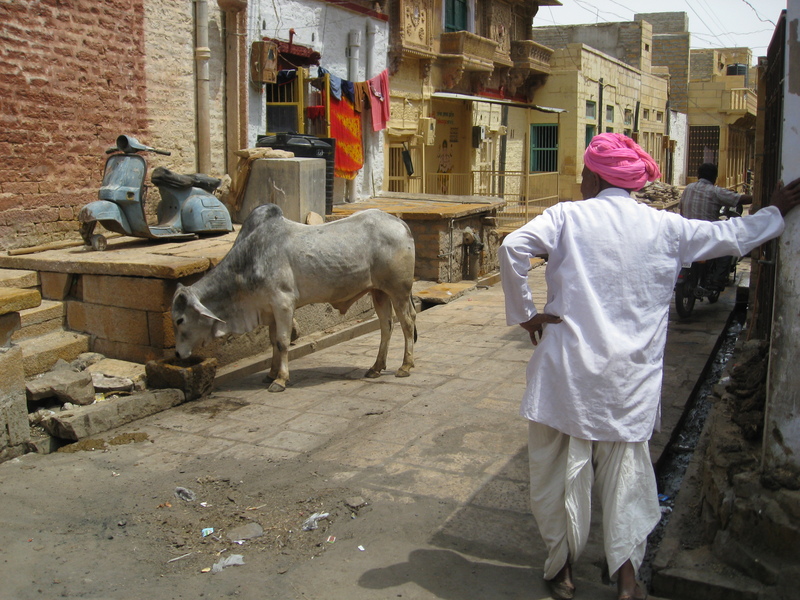 It felt quite magical and amazing to witness locals, tourists and cows mixing so peacefully. The fort of Jaisalmer reminded me of another fortified city called Bukhara in Uzbekistan, also located along the old Silk Road. Even if we spent most of the time inside the fort, we did walk to the city outside the fort to visit the famous havelis. These 19th century mansions are true pearls and so elaborately carved. Some were open for visits, some weren’t. We also made some great purchases: a bag made of camel skin (we regret of not buying more of those wonderfully handmade bags!!) and silver jewelry. 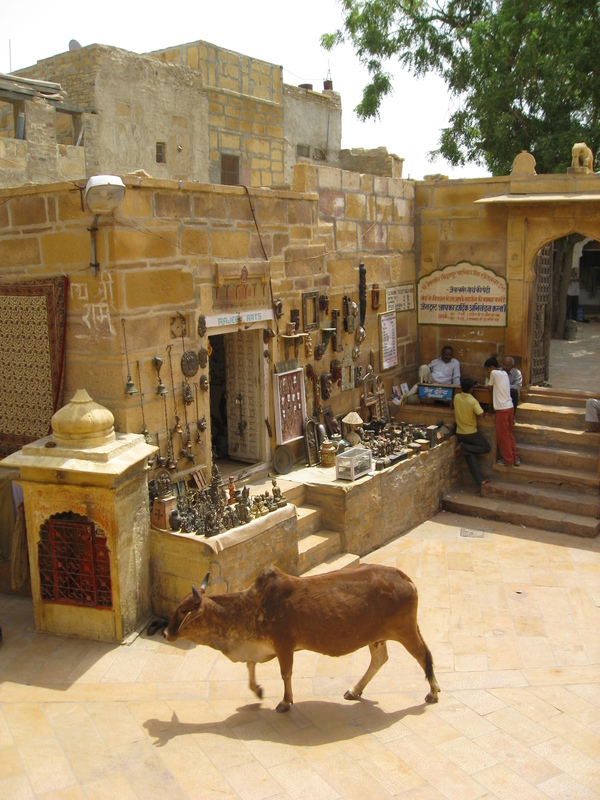 Indeed, shops and bazaars were very well-equipped, making Jaisalmer a great place to buy souvenirs. After all, who wouldn’t be fascinated to revisit the Silk Road trading experience…!? Secondly, the first night we ate at a random restaurant inside the fort and it was so disgusting that we left after taking the first bite. The second night we ate at Trio, outside the fort, and it was amazing. Definitely one of the best meals we had in Rajasthan! We ate at the terrace, the musicians were playing and the dinner came to less than 10€ for both of us. Wish I could relive that moment. This entry was posted in Uncategorized and tagged architecture, art, design & decoration, food, hotel, India, Jainism, North India, Rajasthan, religion, restaurant, Uzbekistan on March 23, 2014 by Miia. The children are so precious! I love how the structures look like sandcastles. Beautiful! Thanks again! You said it well, it is like one big sandcastle. Miia, I love the pics you include to your posts (your writing as well^^)! Really illustrate well about your personal experience. Thanks!! Merci beaucoup. These old photos were taken by my tiny Canon, and I am surprised they are not that bad! The quality is good, but some photos really are emotional. I am curious, which particular photos? For example on that post, I like when I see the happy mum with her kid (or maybe is the grand’ma) or I like the man starring at cow. Have a great day (or evening)! 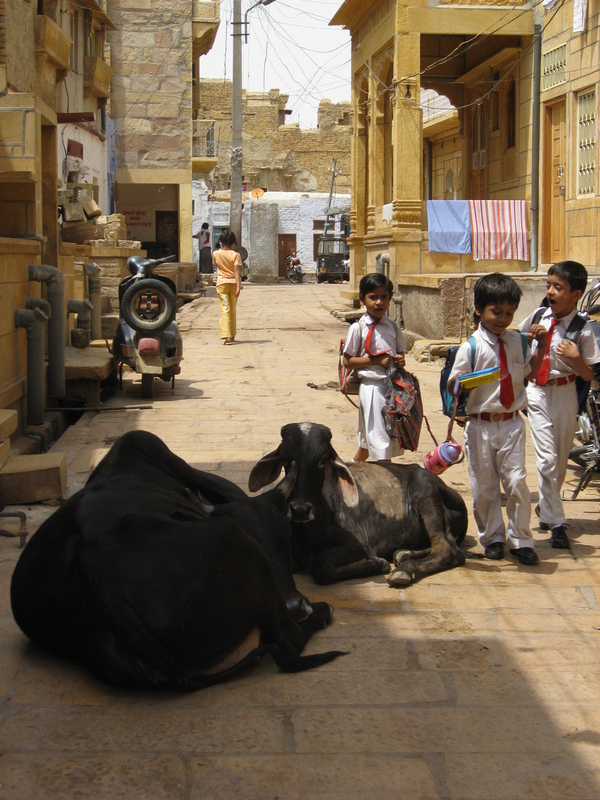 I love your post on Jaisalmer (none of the cribbing about being ripped off etc that I have seen in other posts) and the photos are excellent too, I am an artist and very picky. I got the same enjoyment in 2002 and have visited most of the same places in two separate trips. I kept a diary and many photos and am making a spiral bound book, just one, for my pleasure in the trip and was looking for the silk road connection and came across your blog. I am looking forward to reading the rest of your posts. Thanks. Hi Rosemarie, happy to find your kind comment -thanks 🙂 Sorry for taking time to respond. Any other states you have been to in India? My favorite country.